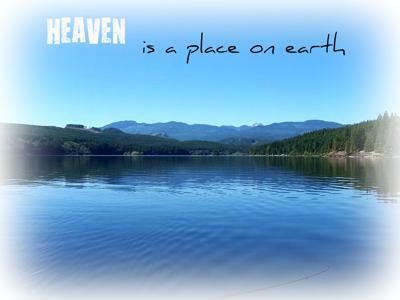 We just recently spent a couple weeks camping Fir Grove, a forestry campsite along the shore of Campbell Lake. It is located approximately 20 km west of Campbell River,Vancouver Island, B.C. in Canada. It is by far one of the best lakes to camp along on the whole of Vancouver Island. The scenery alone is stunning! Join in and write your own page! It's easy to do. How? 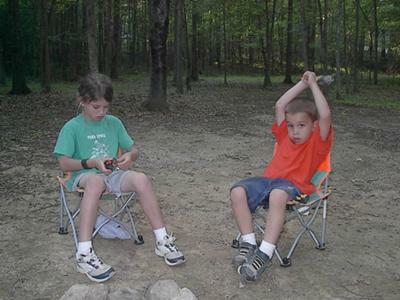 Simply click here to return to Camping Pictures. Off season, it's great 175 no host campground with flush toilets, showers and we were the only campers there for four days, Nov 8-12, 2008. Sometimes in the spring & summer the campground gets a volunteer host(no pay). It is the NPS best kept secret. It's only 45 miles east of Hoover Dam. People pass it up because they either want to get to Las Vegas or to leave Las Vegas. The most I have ever seen camping here is a total of ten campsites. The peace & quiet are it's pluses. Temple Bar also has a restaurant, lounge, motel and small resort that does get busy in the early summer when temperatures are around 100 degrees. But as soon as it hits 110 degrees most stay away, including us. Then we head for cooler temps too. 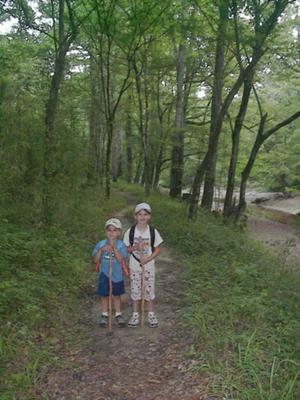 I took my oldest two kids to Rocky Springs in June of 2009. 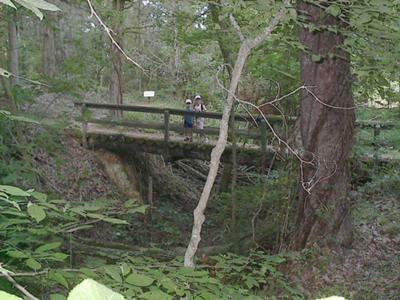 It's a primitive camp site off the Natchez Trace Parkway about 30 miles Southwest of Jackson MS. The best part is the camping. Very few people camp here, even on holidays. 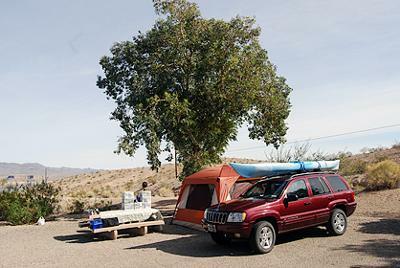 No water and no electricity at the campsites keeps most campers away, so we enjoy the quiet!